At the end of every year, my mind does this stupid thing. It subconsciously starts evaluating the past year. Why? Because I’m extremely driven and like to set goals for the upcoming year. So, I go through each month and try to remember what I felt like during this time. Was I focused on or distracted from God? Did I achieve or miss my goals? 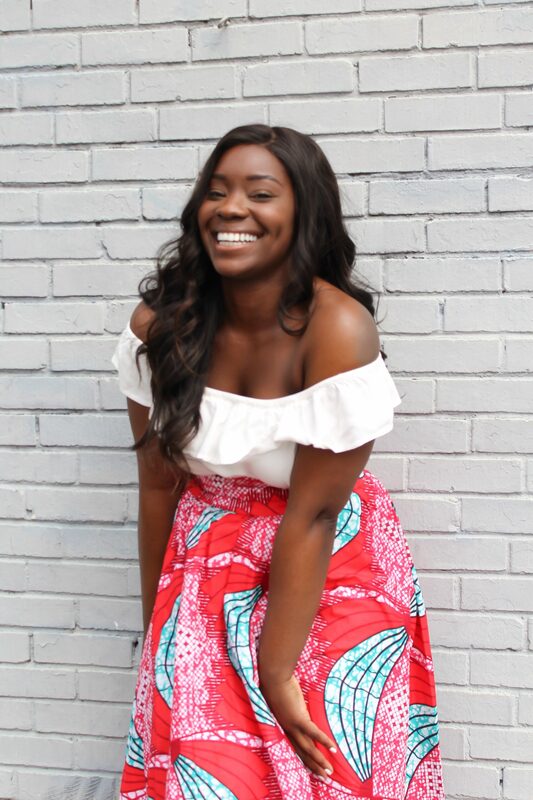 Was I at peace and content or stressed? One thing I found in that evaluation is that the months I was the most distracted from God, resulted in the least achievement, which led to increased stress and discontentment. Initially, I didn’t see it as a big surprise. 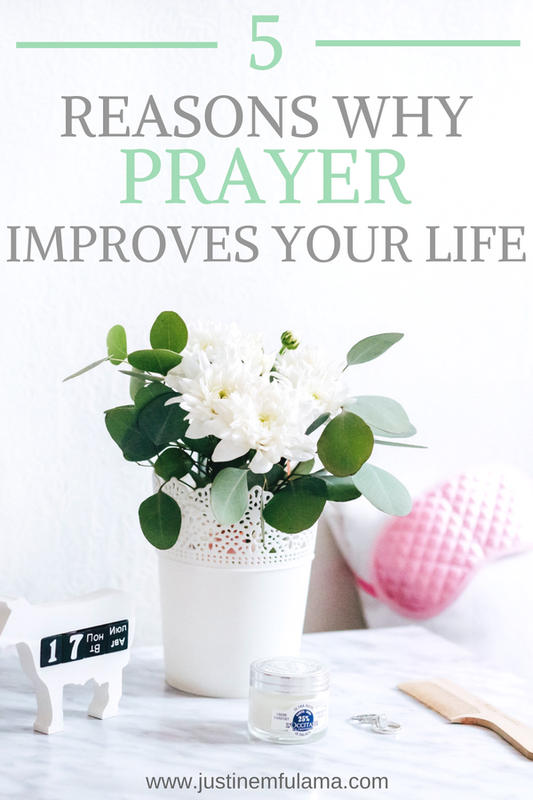 Because I already knew that the amount of time I spend in prayer influences my life greatly. However, out of curiosity, I decided to do a study on prayer and discovered just how important and mighty it is. 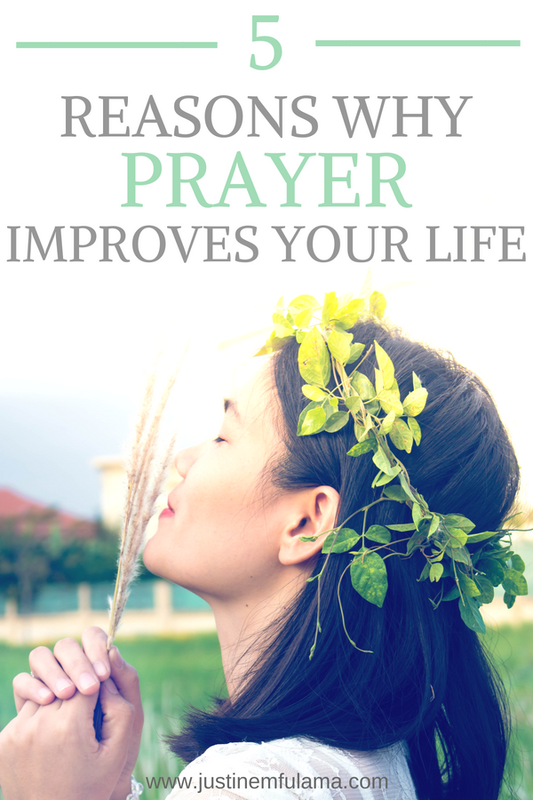 Here are 5 reasons how the power of prayer can improve your life. When you pray, your mind focuses on current challenges and situations in your life. It’s as if you run a list of things that bother or excite you and share it with God. A good prayer is specific, relevant and triggers your brain to deal with the situation at hand. You basically tell yourself that something needs to happen. When you pray for a goal you petition for the expected result and encourage yourself to achieve that objective. You start to avoid distractions and become more focused on your goals and dreams. To achieve even more focus, you can combine prayer and fasting. One of the best reasons to pray is because of the feeling you have afterward – peace! When you pray, you ask God to take ownership of your fears, worries, and problems. Like in real life once you return a crying baby to their mother, you feel better again. Suddenly the ‘crisis’ you couldn’t solve on your own is in good hands. And you are certain that the person you gave the baby to knows how to solve the problem easily. It’s the same with entrusting God with your concerns. He lifts the burden off you, you stop being stressed and you experience peace again. Okay, I hope I don’t embarrass myself too much with this, so bear with me. Have you ever prayed out loud for something you desired? Then suddenly you stopped mid-way because for the first time you actually listened to your request. And now it sounds ridiculous. Well, I have. And what I found in those moments is that God quickly used my prayer to show me his ways and tell me what he thinks about something. Prayer is not to make God change his mind about something. But to enable him to mold you to become more like Jesus, who had all the wisdom. I know that ‘finding your purpose’ is one of the most annoying principles that is taught in the Christian community. Why? Because it is this mysterious assignment that is extremely customized to each person on the planet, which means you can’t even copy it from someone else because it won’t work. Yet it feels like only a selected ‘holy’ few succeed in finding it. If that’s you, just as it used to be me then I have good and bad news for you. Yes, it’s extremely customized to each one of us and can’t be copied. But it is also very accessible. Namely through prayer. The power of prayer is that you get to speak, petition, intercede, engage, contemplate and hear from God. Can you see how spending time with your creator gets you closer to your purpose? I mean, imagine hanging out with Bill Gates all the time and talking about the first Windows PC he created. Don’t you think that at one point he would share with you why he created it? Of course! So, the way to receiving your purpose is by talking to God through prayer. The beauty of prayer is that it emphasizes an attitude of thankfulness. No matter if you pray out of desperation or satisfaction, you acknowledge that there is a God in heaven that is greater than you. You understand that you owe him everything that you have, but also realize that he is the one that grants you everything that you may desire. That‘s why after we pray we can’t help but be thankful to God for gifting us with a life that has highs and lows which are both opportunities that can be shaped. How did you experience the power of prayer in your life before? Share BELOW! Amen…Thank you for sharing this blog! Wow, I totally agree with this post. It’s interesting how you’re able to compare and contrast the months you were praying and the months you were distracted and tie it to what you achieved in that specific month. As for me, I started the year off with prayer (January) my church had a fast. We basically prayed that entire month about the things we wanted to see God do in our lives. And to be honest it set the tone for my entire year. Personally, I had a very successful year. Things that were way overdue in my life from the previous years God manifested it in my life. 2017 was my BEST year to date. I’m, so glad that you were encouraged to change up your prayer life. It’s so easy to get stagnant. Thanks to you I just downloaded that App too and already love it!